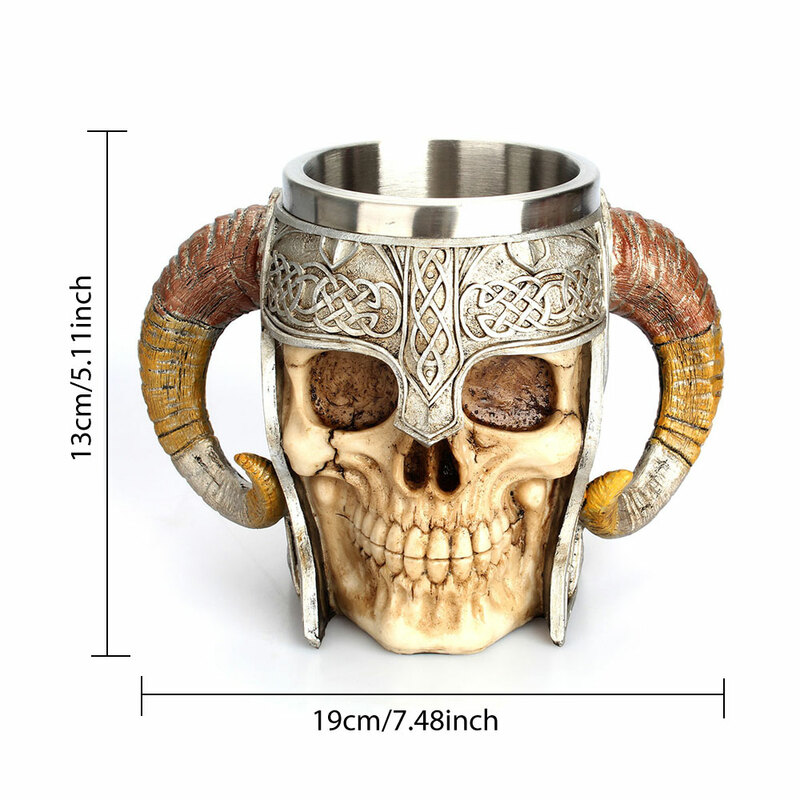 This exotic mug is made of high quality resin with stainless steel liner,safe drinking. 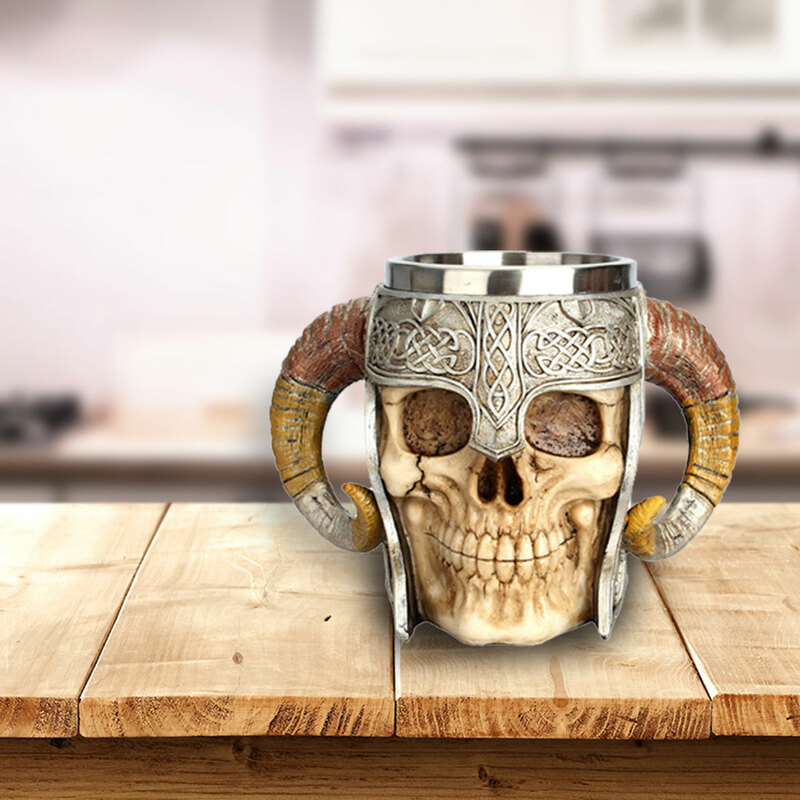 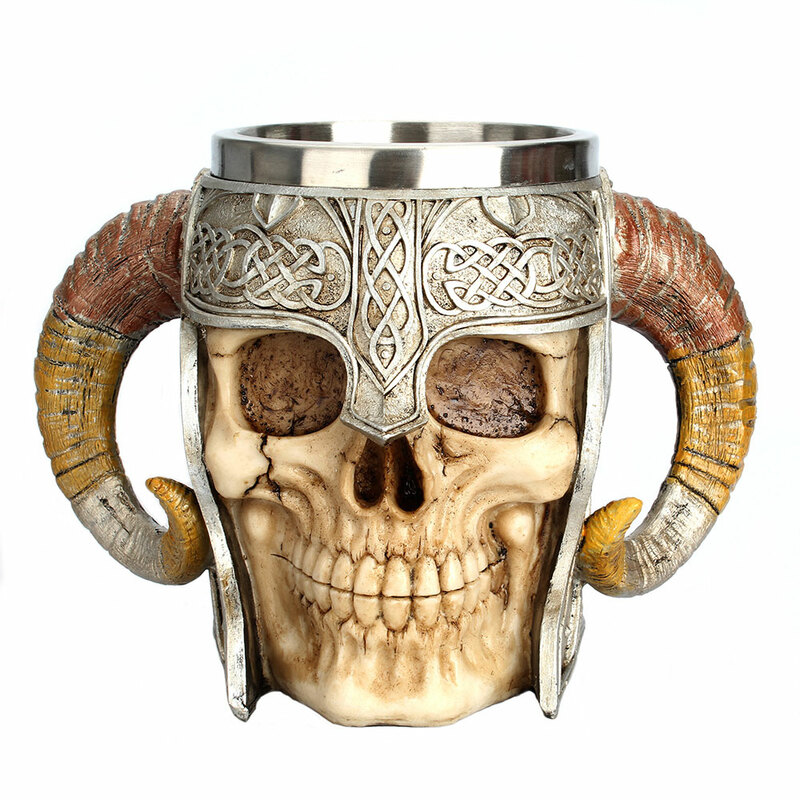 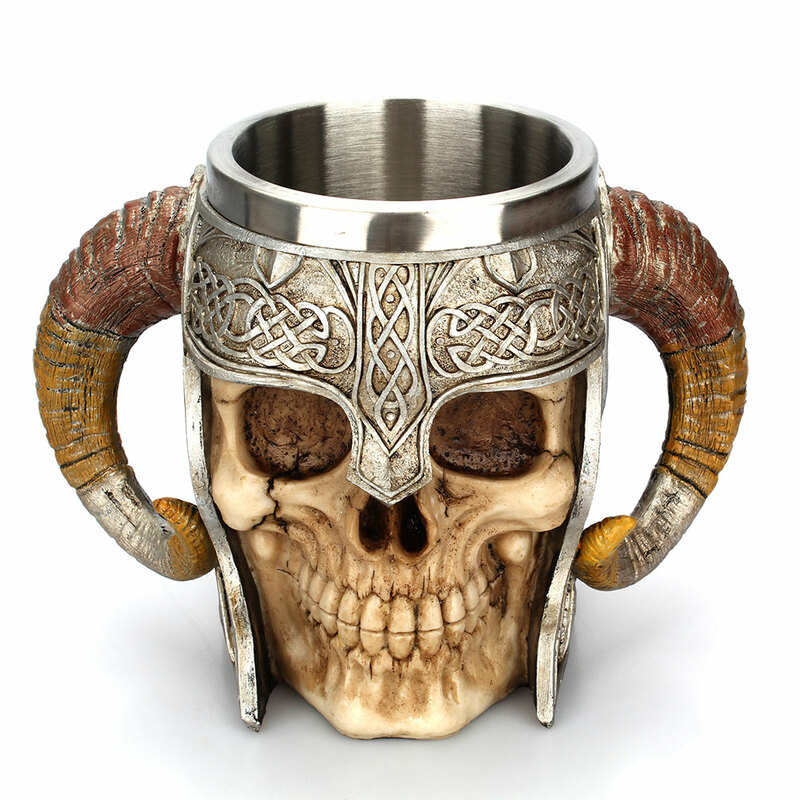 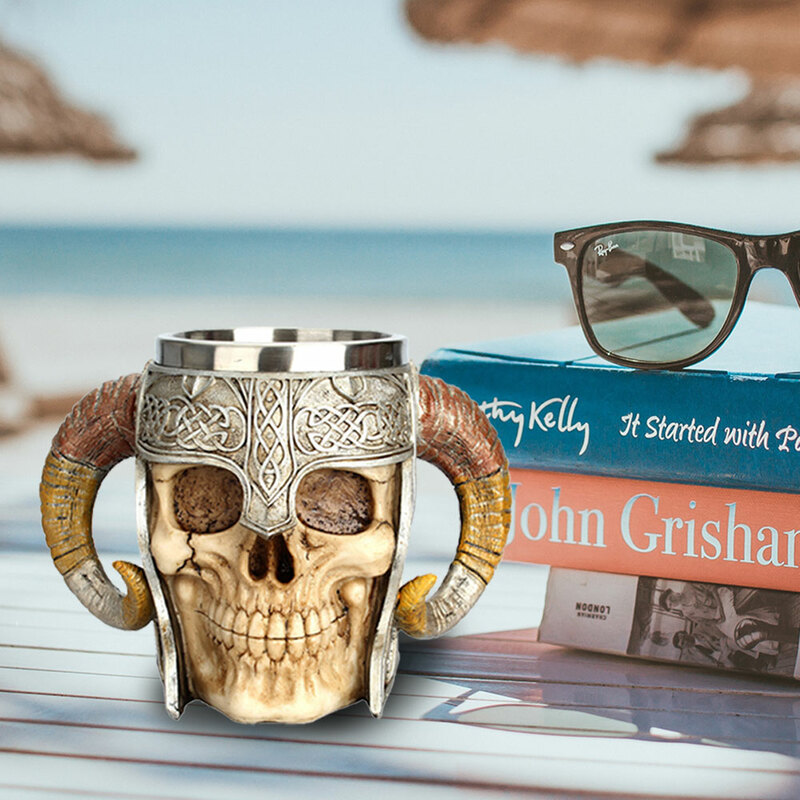 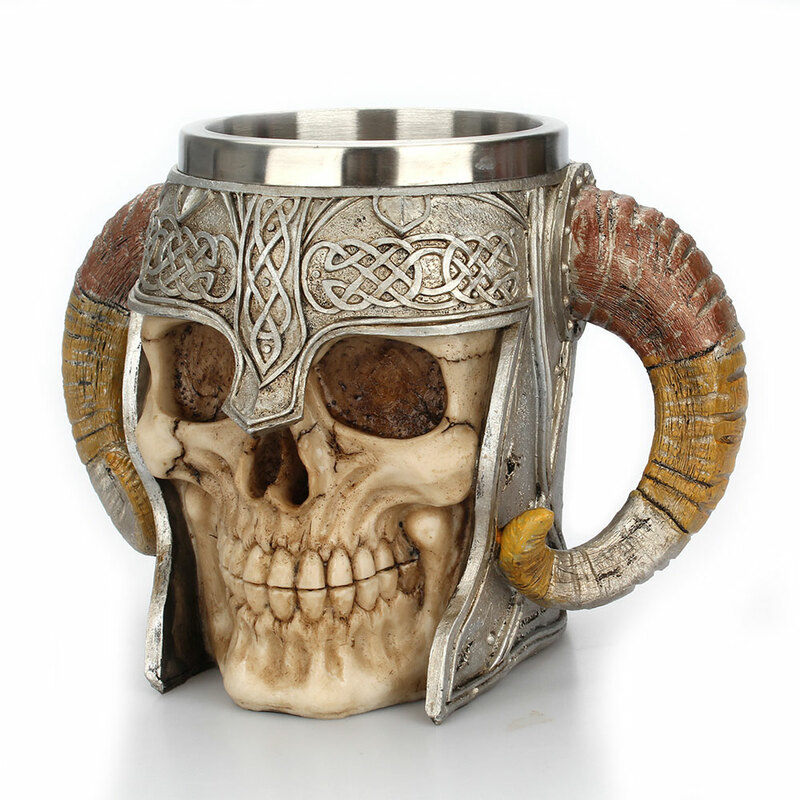 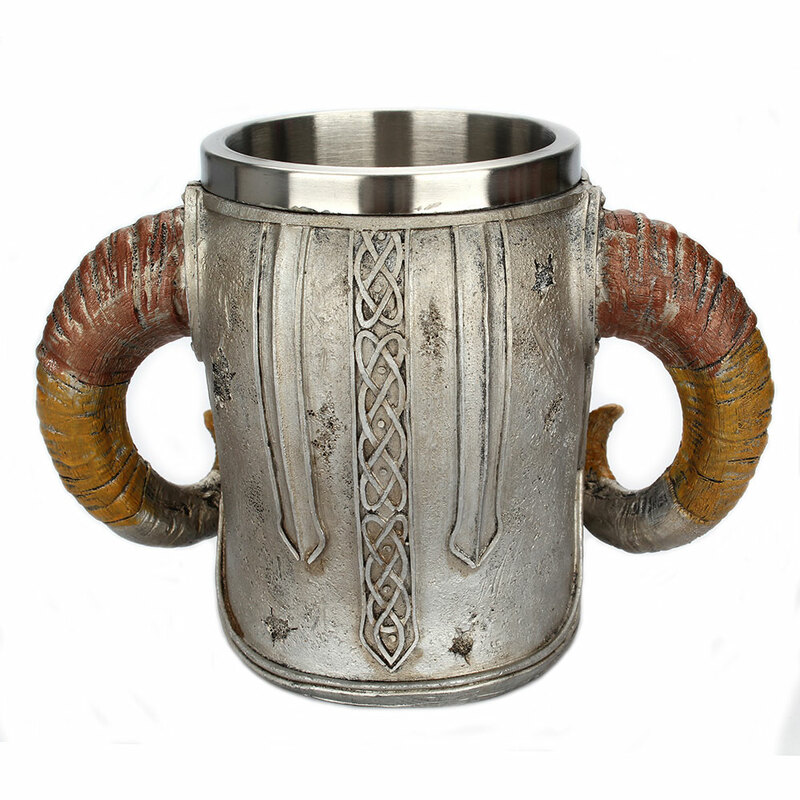 This Viking Horned Demon Skull mug is perfect for your halloween parties or any ghost related events! 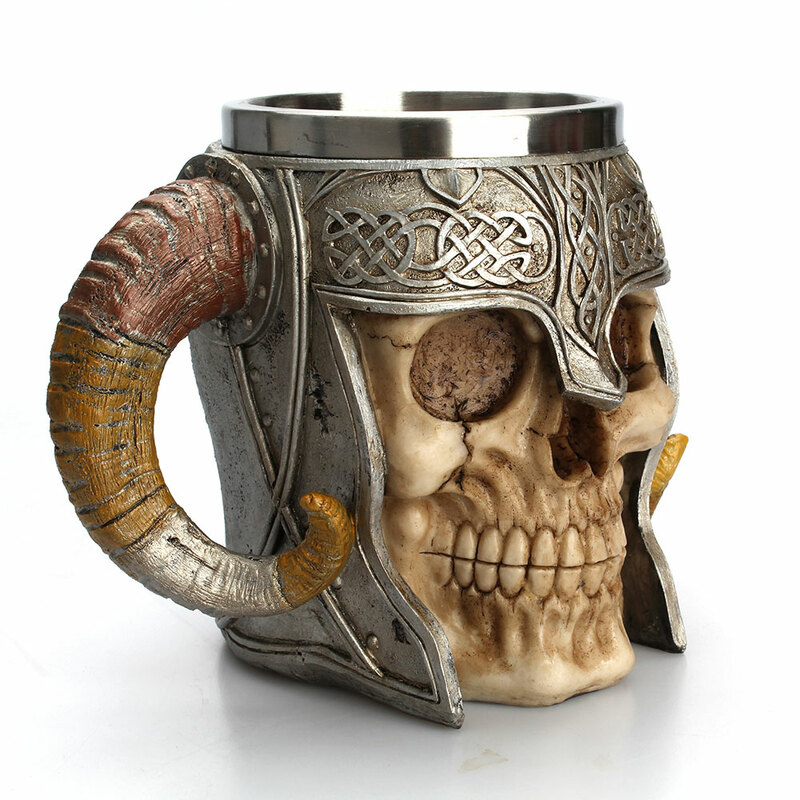 Imagine drinking out of this mug with your beer buddies, boating group or what have you! 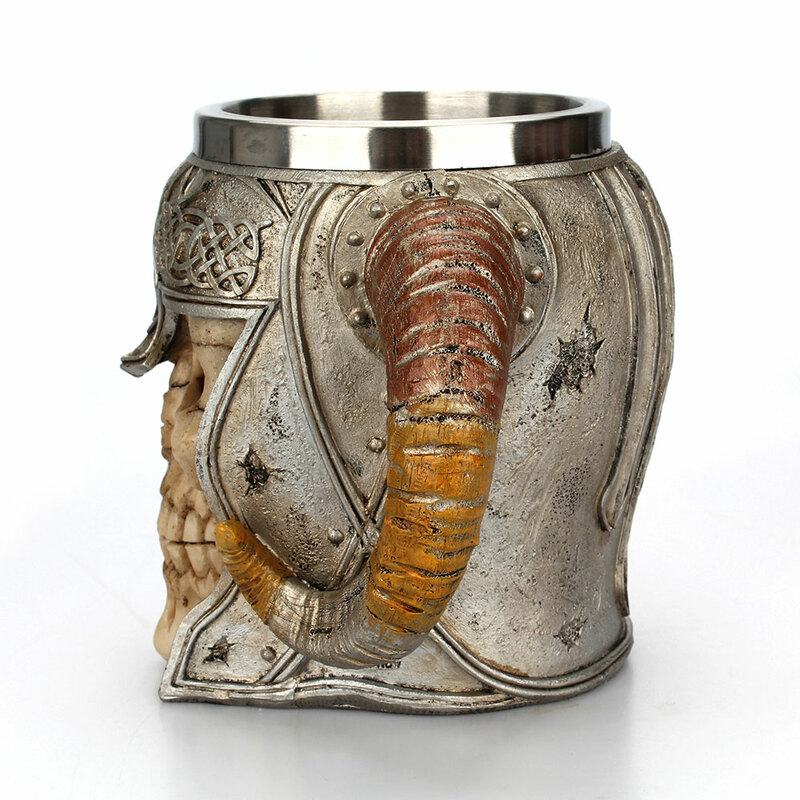 Because each piece is individually hand painted and polished, color tone may vary slightly from pictures.